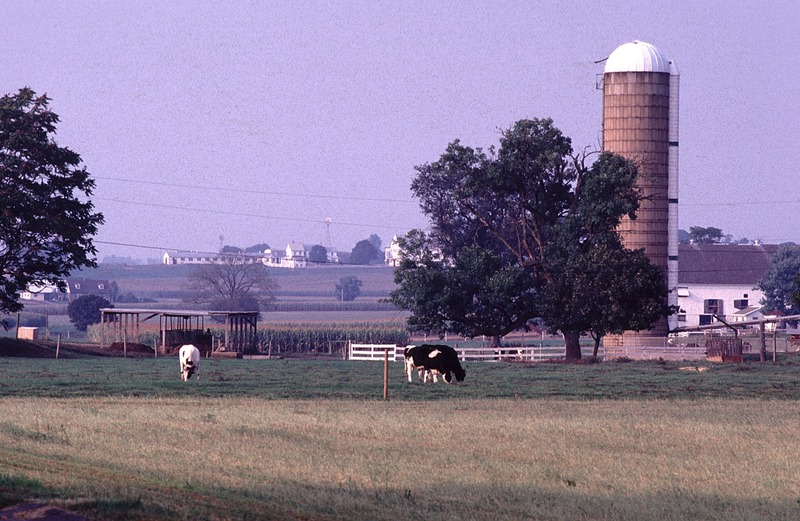 Much has been written about the impact of the rural vote on the 2016 presidential election. To be sure, Trump received far greater shares of the rural vote than Clinton. This is not new; Republicans have typically won rural areas during past elections as well, especially in the South and Midwest. However, rural people account for only about 15 percent of the nation’s total population and a similar share of votes cast in 2016. Hence, although Trump’s rural advantage contributed to his victory, it did not swing the election on its own. In 2016, both Trump’s rural and small-city advantage in three key states – Michigan (margin 10,704), Pennsylvania (margin 44,292), and Wisconsin (margin 22,748) – made the critical difference. In many of the rural and small urban counties that went strongly for Trump, economic distress has been building and social conditions have been breaking down for decades. By and large, these are not the poorest places in America, but they are generally worse off today than they were a generation or two ago with slim prospects for future improvement. In these mostly working-class white communities, there are now far fewer of the manufacturing and natural resource jobs that once provided solid wages and benefits to those without a college degree. The political and economic status quo is simply not working for many residents who have experienced downward mobility in these places. It should come as no surprise, then, that Trump performed best in counties with the highest drug, alcohol, and suicide mortality rates. The tie that binds high rates of “deaths of despair” and Trump performance is place-level downward mobility. So what makes these downwardly mobile working-class white areas any more likely to swing to Trump than persistently poor and disadvantaged minority communities that are also distressed and abandoned by the political and economic system? To be sure, race was important. Thanks to both his overtly and implicitly racist messages, Trump was unlikely to garner any significant support from Hispanic or Black voters regardless of long-term economic distress in many majority-Black and majority-Hispanic areas. Reference group theory offers another explanation. Andrew Cherlin makes the case that whites compare themselves to prior generations that had more opportunities, leading them to feel anxious and depressed about their life outcomes. Blacks and Hispanics compare themselves to prior generations that had fewer opportunities. Working-class residents of once robust manufacturing and natural resource extraction towns see fewer opportunities for people without a college degree and chronic out-migration of their best and brightest. Thanks to 40+ years of deindustrialization, automation, deskilling, globalization, and neoliberal policy regimes, the residents of many former strong manufacturing towns and the rural areas surrounding them feel like they’re doing much worse than previous generations in the same places. Moreover, their children’s prospects have also diminished. Growing racial and ethnic diversity in some of these places contributed to the perception (however inaccurate) that immigration was at least partly to blame for their woes. The Great Recession and its spatially uneven recovery only exacerbated these long-term stressors. As a result, voters in these places were primed to embrace messages of change versus the status quo. When you’re driving by old-shuttered factories with boarded up windows, watching nightly news reports about drug overdoses, and seeing more of your neighbors sign up for disability instead of working, the message that “America is great already” simply does not jive with your own reality. Although Trump’s election victory was not primarily due to some new “rural revolt,” the media’s current emphasis on the political impact of rural people and places offers sociologists the opportunity to highlight both the growing demographic and economic diversity in rural America. Rural does not automatically equate to white. Racial/ethnic minorities comprise about 20 percent of the U.S. rural population. The rural Hispanic population in particular is geographically dispersed and is expected to continue growing. This is likely to have implications for future U.S. election outcomes. Rural blacks, on the other hand, are spatially concentrated; over 90 percent of rural blacks reside in the overwhelmingly Republican South. Black politico-demographic power should be strong in such places, but it is often neutralized by restrictive voting laws and redistricting. This is also an ideal time to consider the multiple important intersections and interdependencies between rural and urban areas. The rural-urban binary is an outdated concept that never really supported an accurate analysis of the spatial organization of American society. We encourage sociologists, especially those conducting spatially-oriented research, to pay attention to the urban-rural interface. Rather than a boundary separating rural from urban, the interface is a space of intense social, economic, and environmental relationships. An increasing share of the nation’s population and economic activity is located in the interface. Hence, the interrelationships linking urban, suburban and rural are likely to reveal important emerging economic and social trends with relevance for future political behavior.